Best New Wedding Business in Wales 2015 was a title awarded to CocoMio Bridal.. These awards were the first awards since we opened they marked our name on the map. CocoMio Bridal opened its doors November 10th 2014 as Cardiff’s newest bridalwear retailer. We strived to show customers our boutique. Customers acknowledge that the service we provided was different. 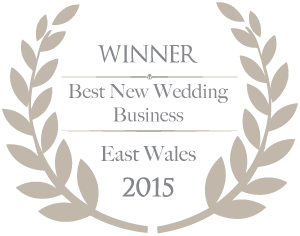 In October 2015 CocoMio Bridal was shortlisted for an award for Best New Wedding Business East Wales and we can only thank our customers for voting for us. To put the icing on the cake we actually came away with not one but the national award.